Seeing error named as KMode Exception Not Handled in Windows 10? In this post, you will find out how to troubleshoot and fix the issue. Windows 10 comes with useful features accompanied various bugs and issues. The Blue Screen of Death (BOSD) errors are the popular ones, the scary nightmare for most of the Windows users. Usually, users see BSOD error when the system crashed and not able to boot normally, showing a blue screen with few lines of error message accompanied by error code. The above BSOD error message is explaining that “DRIVER.sys” driver file is causing the issue. This is an irritating error but can be fixed easily just by making few clicks. 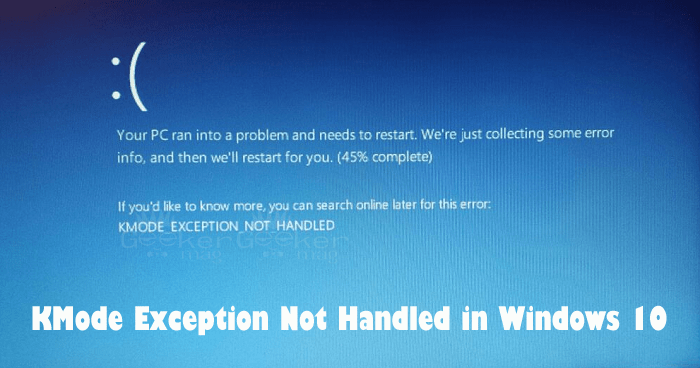 No double Fast Startup is a useful feature available in the Windows 10, but it is also true that lots of users complained about various BSOD error when this feature is enabled. 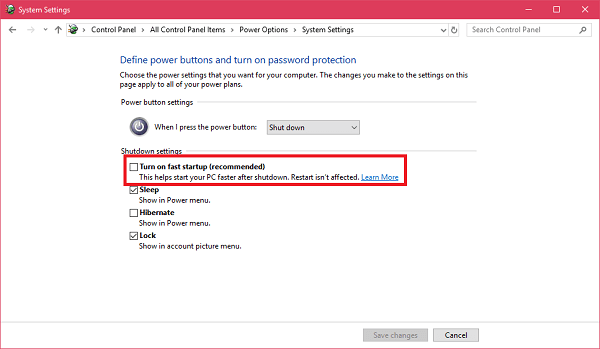 So to troubleshoot the issue it is highly recommended to disable Fast Startup in Windows 10. 1. Launch Settings apps -> System -> Power & Sleep. That’s it. Now reboot the system and check if this fixes the issue. Else try the next method. 1. Launch Driver Manager. For that, Press WIN + X and from WINX context menu click to open Device Manager. 2. Here try to update all the outdated device drivers. For that, make a right click on the particular device listed and from the context menu select “Update Drivers” and follow the instructions. 3. Once you have updated all the device drivers, reboot your system. Positively, that will fix the error. I hope you find this article on how to fix error KMode Exception Not Handled in Windows 10 useful. If you need any assistance feel free to contact.